Community Living Kirkland Lake held its 68th Annual General Meeting on November 19th, 2015. On this night, we recognized all the amazing people who contribute to improving the lives of the people we support at Community Living Kirkland Lake. 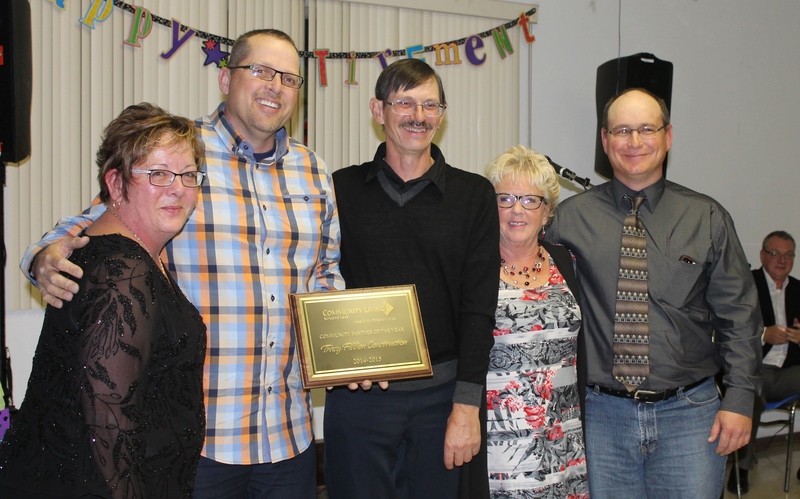 The board of directors for the upcoming year were announced, staff members were recognized for their years of dedication, awards were handed out and volunteers were honoured for their countless hours of service with the agency. Congratulations to Vicky Tomaselli for being the 2014/2015 Volunteer of the Year at Community Living Kirkland Lake. Vicky is highly involved in the CLKL Volunteer Program, volunteering countless hours to the agency and improving the lives of the people we support. Whether it’s leading Venture Night events, doing the Buddy Program, or helping out with various crafts, Vicky can always be depended on. Thank You for helping improve the lives of the people we support at Community Living Kirkland Lake. 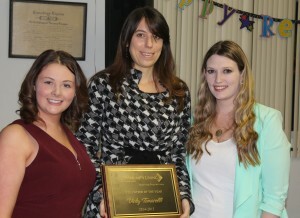 Syvlie Adams and Heather Topliss presented Tracy Fillion and Construction with the Community Partner Award. We have been fortunate to have Tracy Fillion and Construction doing work for the agency for many years. The team has put in countless hours doing renovations, construction and fixes, while meeting tight deadlines, ministry guidelines and adhering to some of our crazy requests. Without complaints and always a smile on their faces, Tracy Fillion and Construction has played a key role in improving the lives of the people we support. Thank you to Tracy, Leonard and Chuck, and congratulations on winning the Community Partner 2014/2015 Award. 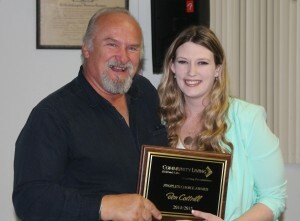 Mary-Ann Thompson, Volunteer Coordinator (Right) presents Ben Cottrill (Left) with his People’s Choice Award 2014/2015. 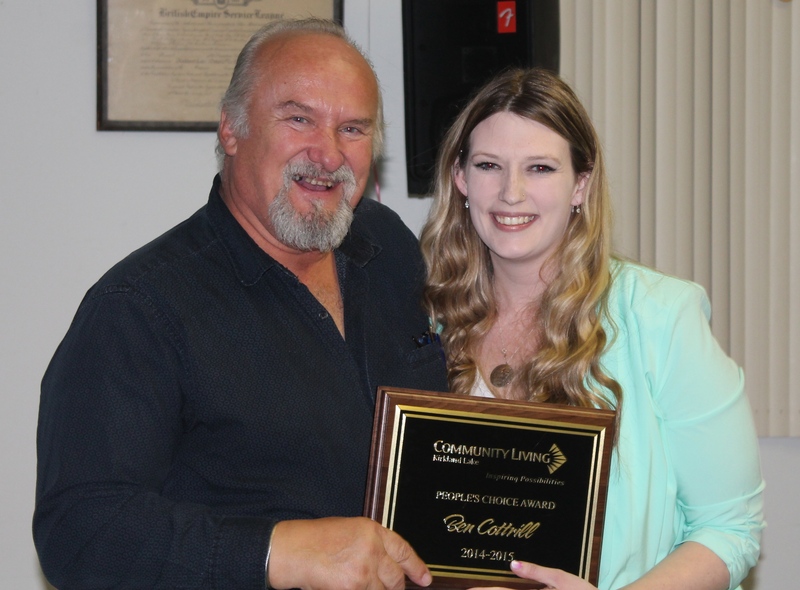 Ben Cottrill has been a long time loyal volunteer at Community Living Kirkland Lake, always willing to go the extra mile and help out whenever needed. 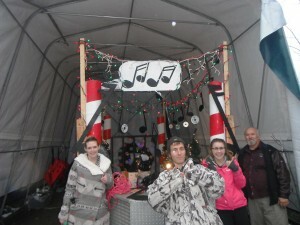 In particular, Ben always plays a huge roll in the creation of the annual float for the Christmas Parade. He easily puts in over 100 hours of his time each year, planning, cutting and painting to make incredible props. He is the backbone to the Annual Parade and we really couldn’t do it without him. To see more pictures from this fabulous night, please check out our Facebook page, or head to our Gallery. 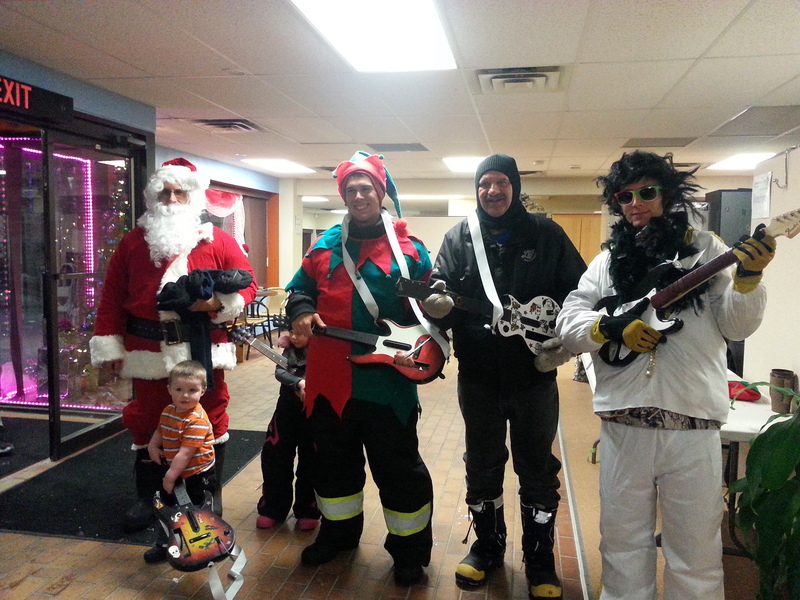 Another Amazing Christmas Parade in Kirkland Lake! The creativity was on full display by all the floats, with lights, decorations, costumes, music, dancing and as always a visit from Jolly old Saint Nicholas. 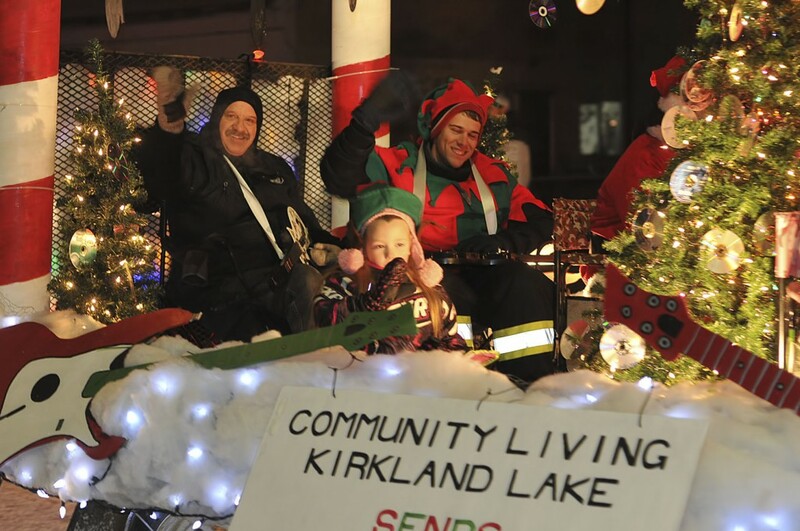 At Community Living Kirkland Lake we are fortunate to have a passionate and creative group of volunteers that put countless hours into designing and decorating the float. With Elvis, Rocking Ronny, Santa and his crew of Elves in the building, CLKL rocked out to festive tunes and finished in third place. CLKL donated their winnings to the Canadian Tire Jumpstart program. For more pictures, please check us out on Facebook.